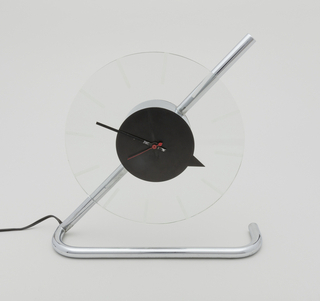 See more objects with the tag streamlined, timekeeping, modernism, reflective, clock. See more objects with the color cornflowerblue steelblue darkslategrey darkslategrey dimgrey or see all the colors for this object. This is a Clock. It is dated 1933 and we acquired it in 2015. Its medium is glass, chrome-plated metal, enameled metal. It is a part of the Product Design and Decorative Arts department. 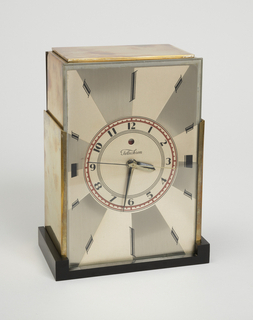 First displayed at the 1933 Chicago World’s Fair, this electric clock was designed, according to Rohde, to personify simplicity. 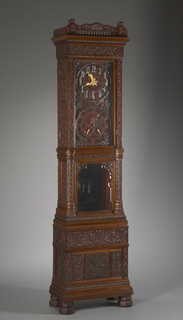 He streamlined the form, reducing it to its essential parts, removing even the numbers in favor of small spheres to echo the clock’s overall geometric aesthetic. 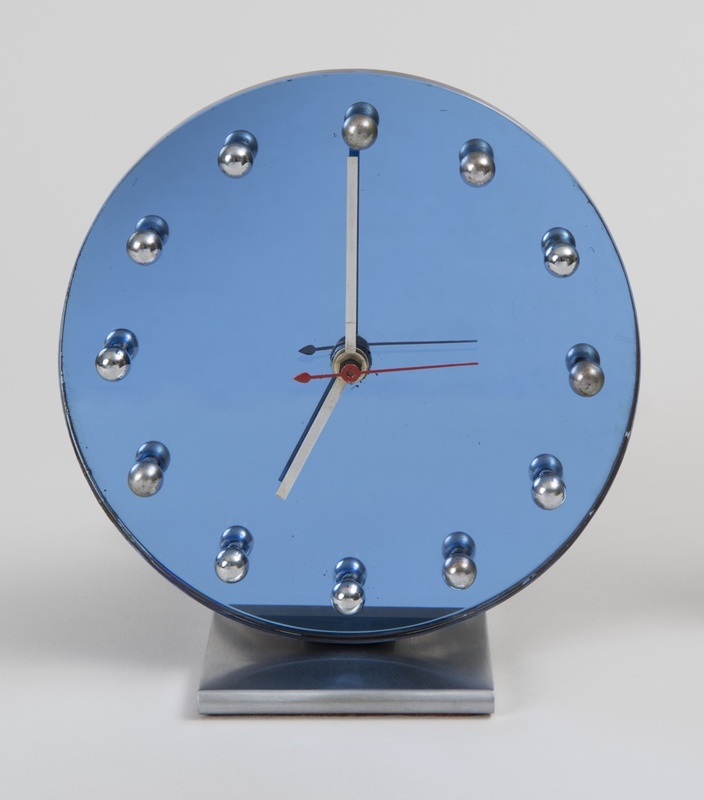 The blue mirror-glass face is its primary decorative aspect, giving this clock an overall machine-like appearance. This object was featured in our Object of the Day series in a post titled True Blue. 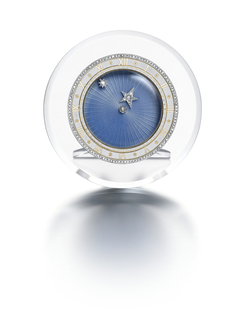 rock crystal, guilloché and champlevé enamel, rosecut diamonds, platinum.